by Youth Ocean Advocate Jane C.
At age three, my parents and I made the trek up to the peaks of the Cascade Mountains to introduce me to the joys of skiing. Starting out as a familial tradition, experiencing the outdoors through hiking, mountain biking, and downhill skiing blossomed into a passion which I share with a local and global community. There’s something magical about plunking down in the fresh, deep powder at the top of a Pacific Northwest mountain, sipping warm tea, and beholding 360 degrees of beauty. Glacial peaks, warm sunlight, and our beloved Evergreen trees come together to make a landscape. Speaking from the perspective of a busy college student living in the city, the top of Mt. Baker provides a perfect refuge from road noise and responsibility. Yearly snowmelt feeds the rivers which introduce freshwater, sediments, and chemicals (both naturally occurring and devastating) to the Puget Sound, my marine backyard. Even after years of travel to the southwestern United States, East Coast, and even Europe, nothing compares to the Pacific Northwest. Offering solace, resources, and wonder, this unique landscape is my provider and home. Thus, preserving areas the top of Mt. 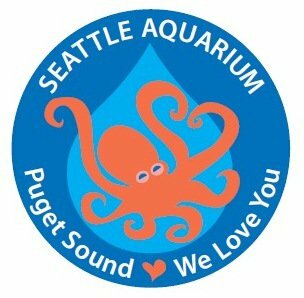 Baker to the depths of Puget Sound is in and of itself a great responsibility that I feel indebted to take on. Deforestation, fossil fuel emissions, and overdevelopment threaten even the most remote areas of the world; areas which appear to be safe from humanity indeed are not. Pollution does not discriminate; every corner of Earth loathes its effects. Often, I find myself rambling about my passion for skiing, and, ultimately, how much I value my roots in the Evergreen state. With diverse perspectives and values, others interpret the world though different lenses. I am cognizant of how it can be easy to disregard the voice of a vegan, socks-and-sandals wearing, sticker-covered, reusable water bottle-toting Pacific Northwest kid. I chose my first car based on green emissions ratings and off-road capability, and I will gladly dumpster dive to make sure a soda can finds itself in a recycling plant instead of a landfill. Everyone loves a nature scene on a postcard, but in the scheme of modernity and industry, a push for conservation can seem like a niche and even naïve pursuit. Despite interacting in a community rich in hikers and boaters, convincing people to conserve presents a definite challenge. It would be cruel to exchange the land that has been the cornerstone of life for ages for immediate gratification that comes from human pursuits of monetary wealth and luxury. Similarly, asking seven billion people to revert back to a zero-impact lifestyle is much too great of an ask. So, instead, allow me to propose a compromise. People depend on food chains and climate trend stability in much the same way that they depend on job and income security. Perhaps what it takes to live a comfortable lifestyle in the face of economic instability and looming environmental destruction is to rethink the way “progress” is defined. To many, progress in terms of technology is seen as harnessing the world’s resources to create the most comfortable life for humans, regardless of environmental impact. Consider our collective history of mining practices, the rise of industrial agriculture, and the dams that boasted providing so many jobs and energy. This sort of progression is rooted in patriotism and American culture. In the same spirit, consider a future wherein scientific endeavors, compassion, and innovation provides future generations with sustainable livelihoods, both economically and environmentally. I urge you to become an active participant in conservation in any form and any scope. In my life, this means volunteering at the aquarium and pursuing an education in engineering that will allow me to tackle the bigger picture. For you, this could mean lowering your personal impact and sharing the perennial messages of “turn the water off when you brush your teeth” or “recycle paper goods!” Ultimately, making conservation digestible to a world inhabited by both business executives and backpackers requires a diverse group of representatives of a shared goal. In the same way that seven billion people is to many to ask to revert back to primitive traditions, seven billion people taking small action can engender the grand-scale change vital to protect Earth.